The OO7 are a group of Ottawa-based emerging, mid-career and established Indigenous artists who came together to form a collective with the sole purpose of presenting new work outside of the established curatorial practice and traditional institution art venue setting. 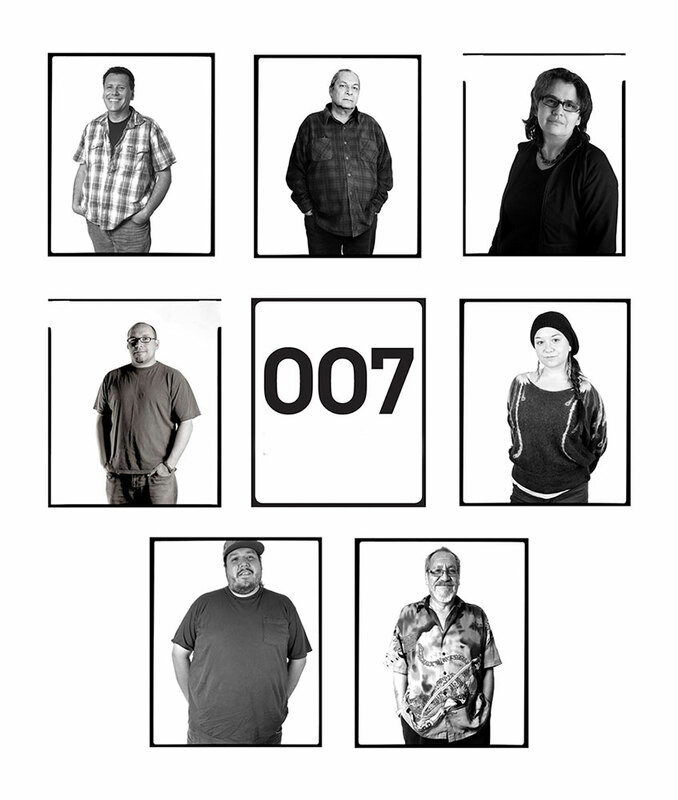 The Collective was official formed by Barry Ace, Rosalie Favell, Leo Yerxa and Ron Noganosh in the Spring of 2012 and directly following the founding, Frank Shebageget, Ariel Smith, and Bear Witness were invited to join bringing the Collective to seven artists working in diverse media. The Collective’s philosophy is unrestricted and provides each artist with the freedom and flexibility to take risks, experiment or present new works that are an extension of their current body of work. The OO7 work independently of curators and establish art institutions, the installation and presentation of the works for each exhibition is the sole responsibility of the artist. The OO7 does not apply for any financial assistance from municipal, provincial or federal government sources by choice, so the work may be presented in its pure, raw and fresh studio state, and is free from curatorial thematic selection and filtering. In the true spirit of collaboration and as an opportunity to work and exhibit with a diversity of artists from within and outside of the Ottawa region, guest Indigenous artists are invited to exhibit with the OO7 core members and are designated as “OO7 Special Agents”. These invited artists ensure that exhibitions are fresh with new work and new ideas, and it is also hoped that their participation will act as a catalyst and spark the formation of other collectives or collaborations in their own communities. In 2017, tragedy struck and the OO7 lost two integral core members and senior artists, who both passed away within two months of one another: Ron Noganosh and Leo Yerxa. In honour of their spirit and in recognition of their immense contributions to Indigenous art history and the OO7, this webpage is dedicated to their memory. IMAGES: Rosalie Favell from the Facing the Camera Series.